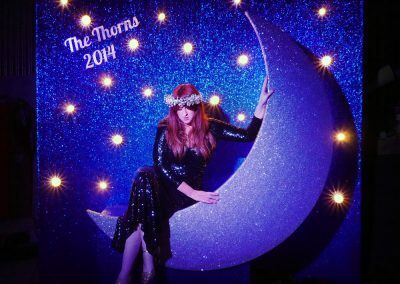 An exciting alternative to a photo-booth and an amazing, glittering photo op. 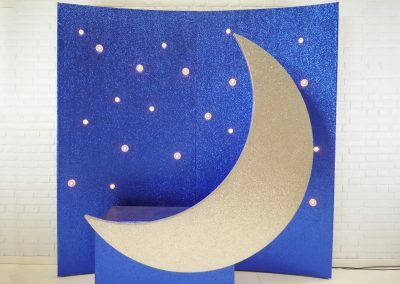 This sit on photo wall is in the shape of a crescent moon with glorious stars all around. Comfortably seats 2 people with more gathered around if wanted. 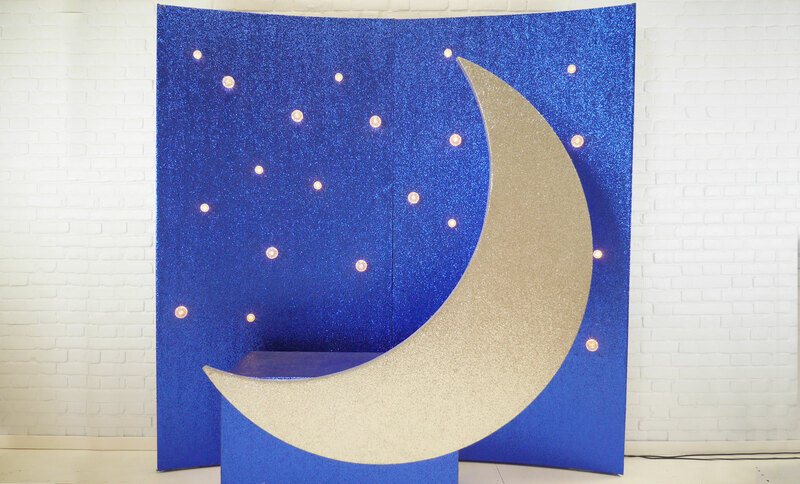 We love it to the moon and back! Use in conjunction with your photographer or let your guests have hours of fun snapping away on phones and cameras. Perfect for star crossed lovers! 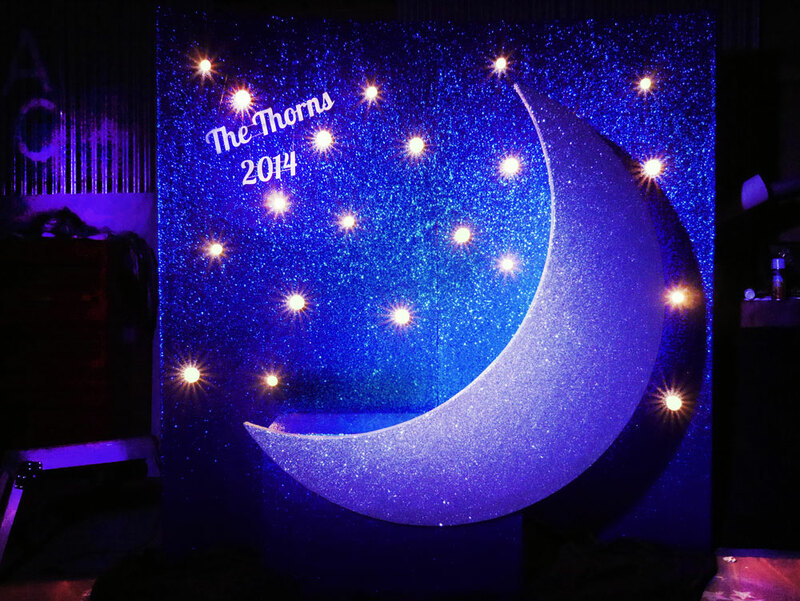 Personalise it for your event. 2.5m tall x 2.5m wide x 1.8m deep.